If you’re a writer you’ll know you can’t just write a brilliant book, have it superbly edited with an excellent cover, and then upload it to Amazon and wait for people to buy it in their droves. (Ha! How I wish!) You have to let people know it’s there. A few weeks ago I enrolled a couple of my books in Amazon’s KDP Select program, which means that for ninety days, they are available exclusively to Amazon. There are plenty of reasons why that’s not such a good idea – it limits my market, it plays into Amazon’s monolithic hands, etc – but in the end I decided to go with it because I felt the benefits outweighed the bad. There are a number of ways being part of KDP has given my books a boost, and one of them is the ability to make my book free for five days during the ninety-day enrolment period. You might think giving your book away for nothing would do nothing to help sales, but I tried it and it works. Last week I made The Antique Love free, from Sunday until Thursday, but I didn’t just randomly decide on a date, bring the price to zero, and hope for the best. I tried to do everything I could to make the five free days count for as much as possible. Chose Sunday as a start day. Apparently lots of people download on this day. 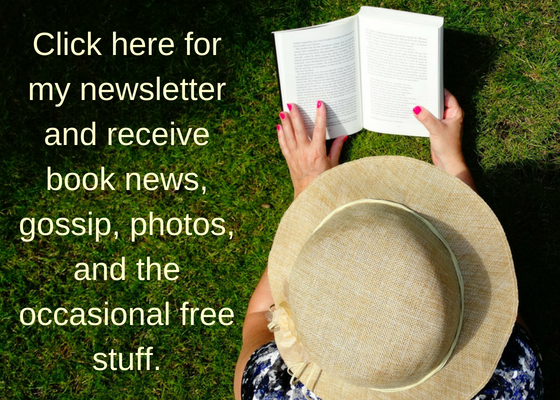 Well in advance of my free days (you should do this several weeks before if you can, as some of these places have a waiting list) I got in touch with a LOT of sites that list your free books for you in newsletters/websites/FB/Twitter, etc. You can find a handy list of such sites on the excellent Author Marketing Club website. Not all will accept you. Some are choosier than others. The newsletter with by far the biggest reach is BookBub. 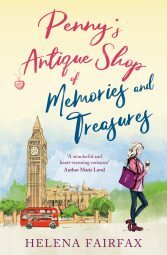 Sadly they wouldn’t accept The Antique Love, and I suspect one of the big reasons why not is that I’d made the book exclusive to Amazon, and they like their advertised books to be as widely available as possible. I did get accepted by eReader News Today, though, and their reach is also enormous. Some of these advertisers will promote your free/discounted books for free. Some of them you have to pay. Ereader News Today charges a fee, but it was well worth it, as you’ll see. In advance of the free days, I did the usual spreading the word – on Twitter, here on my blog, on FB and in some FB book groups I belong to. During the free days I tweeted five free book promoters per day, eg @eBookDaily, @FreeKindleDaily, etc, with hashtags such as #free, #kindle, #freebook, and so on. You can imagine how fabulous my Twitter feed looked. I tried to intersperse these tweets with some more interesting stuff, such as photos and links to articles, etc. I staggered the tweets, as well, so they weren’t one after another. I hoped the relentless promo wouldn’t annoy people too much, and hopefully it didn’t. After all, who doesn’t like free stuff? This is an important point: in the front and back of The Antique Love, I gave information to readers on where they could find me and, if they’d enjoyed my book, where they could find my other novels – in particular my latest release, Palace of Deception. I also asked very nicely if readers would be kind enough to leave a review, along with the links to Amazon and Goodreads. So, what happened after all of this? Well, at the end of five days I was staggered to find I’d had 7,500 downloads of The Antique Love, plus thousands of pages read across all my novels in the Kindle Owners Lending Library. Sales of The Antique Love have continued since then, particularly in the US (no surprise, as that’s where nearly all my advertising was). Besides this, several readers have pre-ordered Palace of Deception, and so far I’ve had ten 4 and 5 star reviews added on Amazon, with more going on every day. That’s great news! I was really pleased with the results of offering The Antique Love for free. The thing that gave me absolutely the greatest pleasure was seeing that my book brought so much pleasure to other people. Although it’s no longer free, The Antique Love is still available on on Amazon US, Amazon UK, Amazon CA, Amazon IN, Amazon AU, and all the other Amazons, and will be available in other stores from September. I hope you enjoyed finding out about my experiment with free books. Do you ever download free books from Amazon? Where do you find out about them? And authors, have you had success with KDP Select, and do you think it’s worth the exclusivity? Next Post Release of Palace of Deception: romance, suspense, intrigue, and a Mediterranean recipe. This is absolutely fantastic Helena! What amazing news. I hope you are enjoying your well-deserved success! Thanks, Marie. I was really surprised to find how worthwhile it was. It was definitely worth the time involved. Now let’s hope it continues! Good to hear it, Helena. Congratulations! Thanks, Susan! It was worth all the effort involved. Helena, I wanted to add, thank you for educating us in regards to publishing and marketing. Thank you so much for reblogging, Chris! Much appreciated! That’s brilliant – thanks so much for posting this, Helena, and what a great result! I’ve only ever tried this for two or three days maximum and I didn’t even think of making it known on all these platforms, so I shall certainly try it again at some point with the couple of books for which I have the rights back. This is amazing! Thanks for sharing both your steps and your results. And congratulations! Thanks very much, Heather! If you’re interested, I used a book called Kindle Publishing made (Stupidly) Easy as a guide. The link is in my reply to Rosemary. It’s a very helpful book! Thanks for sharing this, Helena. Pretty amazing results. I’ve not done a freebie, but will give serious consideration to following your lead on this. You did it with a book already out. Do you think that’s better than with a brand new book. I could do it with the first book in the series right before the second one is released. Thoughts? This should be in late Sept. or early Oct. I really hate this part of the business. :( And so appreciate your input. :) I’ll share this, too. Hi Marsha, I think you should definitely make the first in your series free and make sure to link to the second in the series in the front and back of your free book, telling the reader if they enjoyed your book “they might like to try, etc…” I know there are some authors who make the first in the series permanently free, to attract readers into it. I did this free promotion while my book was in KDP Select. I’m not sure how well it would work if you’re not in KDP. It all took me a lot of time, but I’m glad now that I spent so much effort on it. I know what you mean about hating this side of the business. I have done no real writing for weeks :( But I guess that’s just how it goes. This was very interesting and informative and I thank you for condensing so much research and work into this blog. i wonder if the moral of the story is that self-publishing has its advantages. Some of these things could not be done unless you have all the rights yourself. In any event, congratulations Helena. I will continue to watch you closely! Hi Ken, thanks for your comment. I definitely enjoy having control over my own book with self-publishing. The real downside, as I said to Marsha, is that I’m not able to devote anywhere near as much time to actual writing as I want. If I could have an extra 12 hours in the day, or clone myself, it would be just perfect! Thanks for dropping in. I’m glad you found it of some use. I’m getting ready to do my first free book with KDP Select. Thank you for the information as I’ve been dallying, unsure what to do. This came at a perfect time for me. Wishing you much success with it, Stephanie. The book I mentioned in this thread of comments was a big help to me. If you can get your book listed with one of the bigger advertisers like eReader News Today it will give it a massive boost. Hope it all works out OK. Thanks so much for dropping in! This was really interesting, Helena. I had been wondering about going back exclusively to KDP having branched out on to other platforms after my first three months. Then suddenly, I started to get significant sales on those other platforms without any real promotion. As I only have 1 book out as well, I wasn’t sure about trying a promo again. From what you’ve said, I’d probably be better to wait until I have my second one out and then put in all the legwork before making my first one free. It is constant work to do all this marketing as well as writing as you say :) Well done on your success with it though and thank you for sharing. That’s interesting what you say about your sales on other platforms, Julie. I had wondered what would happen once I left KDP. Fingers crossed sales will have a boost, and not suffer. I think it might be worth going back into KDP to make the first book free, as a way of promoting the second. You will have more reviews for the first book by then, too, and a lot of these advertisers take number of reviews into account. You’re right, it is constant work. At least we have some control over things, though. Thanks very much for dropping in and sharing your experience. Great post. Very helpful advice. I’m glad you found it useful. Thanks so much for taking the time to comment! I’m glad it was useful, Blondieaka. Thanks so much for taking the time to comment. Good luck with your writing! I also have a book going free on KDP select on Monday, so was very interested in your post, yes, confirms everything I’ve learned after intensive research, whew promoting is hard work. Best wishes and good luck for ‘Palace of Deception’. Hi Laurette, how lovely to hear from you! Thanks so much for dropping in on my blog, and also for reviewing The Antique Love. Thank you! I just visited your post about Paris. What lovely photos of the Opera Garnier. I absolutely love the art nouveau style. And how funny you should come from Brighouse! I know it well, and used to live even nearer – in Dewsbury! I can understand why the south of France had its attractions :) It’s very rainy in West Yorks today. How we long for some southern sunshine. It’s been great getting to know you. Thanks so much for dropping in, and for your comment! Thanks for replying Helena, all this social media stuff does take up a lot of time, but I’ve now subscribed to your blog so will be able to see what you’re up to. It has some very interesting figures about what happens during and after the promo (it was May 2014). PS If you are ever in the vicinity of Brighouse, make sure to drop in and buy some cheese at Czerwik’s !! Thanks for the link to John Dolan’s site, Laurette. The figures are interesting, as you say. Amazing how much influence BookBub has! But he’s right not to get carried away. A lot of people download and then never bother reading, as he says. But we have to keep plugging away! I’ll definitely drop into Czerwik’s next time I’m in Brig. I have nieces who live in Marsden, so I pass by there quite often. What a small world it is! I hope the sun is shining in the south of France. have a great weekend! Thanks, Helena, for sharing this good advice. I hope you found it useful, Suzanne. Thanks very much for taking the time to comment. Congrats on your successful free KDP promo. I tried the freebie for my gardening book this spring and I must admit, I am addicted to the freebie. I also did it for the Romance and Mystery Authors on Writing book. I love watching the book ratings climb up as folks download the free book. I took several screen shots when they reached the #1 and #2 in their categories. What a thrill. Watch out, you may get addicted too. 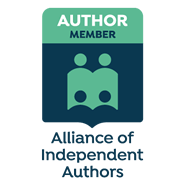 I found a book by Shelley Hitz that was very helpful for finding promoters for free eBooks.I ‘ll check out the one you suggested and the website. Thanks so much for sharing. Hi JQ, it’s certainly a great way to gt exposure for your book. Glad you had success with it. I’ll check out the book by Shelley Hitz. Thanks for the recommendation. I’ll definitely be trying this again!